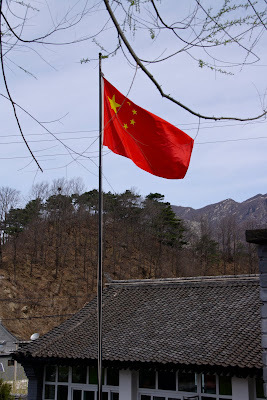 We stayed in Mutianyu at a wonderful village house, number 101, run by The Schoolhouse at Mutianyu. The Schoolhouse is like a poster child for sustainable eco-tourism - they have helped turn the village into a destination in its own right with a restaurant, lodgings, a glass-blowing studio, community projects, and a series of traditional village houses which have been carefully restored to protect the original footprint, but now have energy-saving bonuses like double-glazing and under-floor heating. Outside, village life goes on as usual amidst groves of gnarled chestnut trees and orchards of peach and apricot. Little pathways wind up and down over the hillsides and between the stone houses. 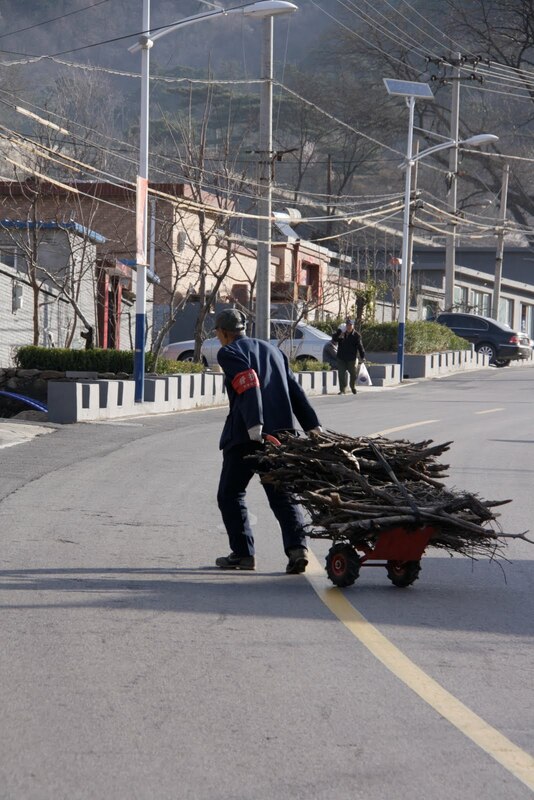 Firewood is collected, gardens are tended and children take the bus to school. Higher up the hillsides still, the Great Wall watches silently and protectively over the village, as it has always done.